The governor of Anambra State, Chief Willie Obiano has urged Nigerians to strengthen the bonds of the nation’s unity with love this Christmas season. In a special Christmas Message from Awka, the state capital, Governor Obiano observed that the feast of Christmas offers Nigerians a chance to reflect on the imperatives of national unity and the need to reach out and touch one another with love. “Christmas reminds us of the overriding importance of love in the affairs of mankind. There is no greater act of love known to man than the birth of Jesus Christ. That is why Christians across the world use the feast of Christmas to reflect on God’s love for His Children and seek new ways to heal our world with love,” Governor Obiano reflected. 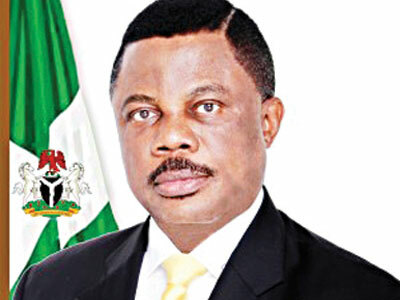 On the many difficulties the country has faced in recent times, Governor Obiano observed that the incendiary rhetoric between Nigeria’s many ethnic nationalities and the frequent bloodbath occasioned by religious and tribal hostilities would all take the backseat if Nigerians choose love as their defining ethos. “We must replace the language of war with the language of love. We must reach out and touch one another. We must demonstrate love for one another, for family, for friends and for Nigeria. That, to me, is the message of Christmas,” the governor declared.